1. Comb the hair of your model to the back, away from her face. Remember to leave her eye-brow level bangs out, combing it forward to rest on her forehead. The hair should be dry and relatively clean. 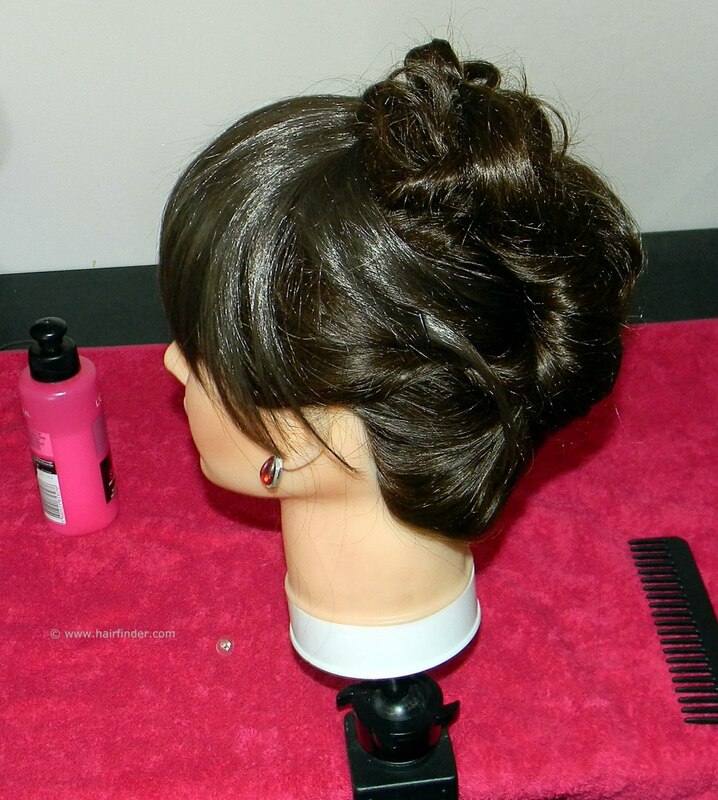 This kind of up-style is usually easier to do when the hair has been washed the day or two before. This is because the sebum or natural oil produced by the hair follicle makes the hair easier to work with when executing up-styles. Just make sure that the hair isn’t excessively oily or tacky. 2. Use your comb and hairspray, and neatly comb the hair into the palm of your hand. You will need good control of the hair and ample experience and tension on the hair strands to get that smooth, silky look. Practice makes perfect, but using your hairspray effectively will get almost any novice into the top ranks. Hairspray is the inexperienced stylist’s best friend, so get yourself properly acquainted if need be. 3. Gently wind the length of hair into a spiralled twist. 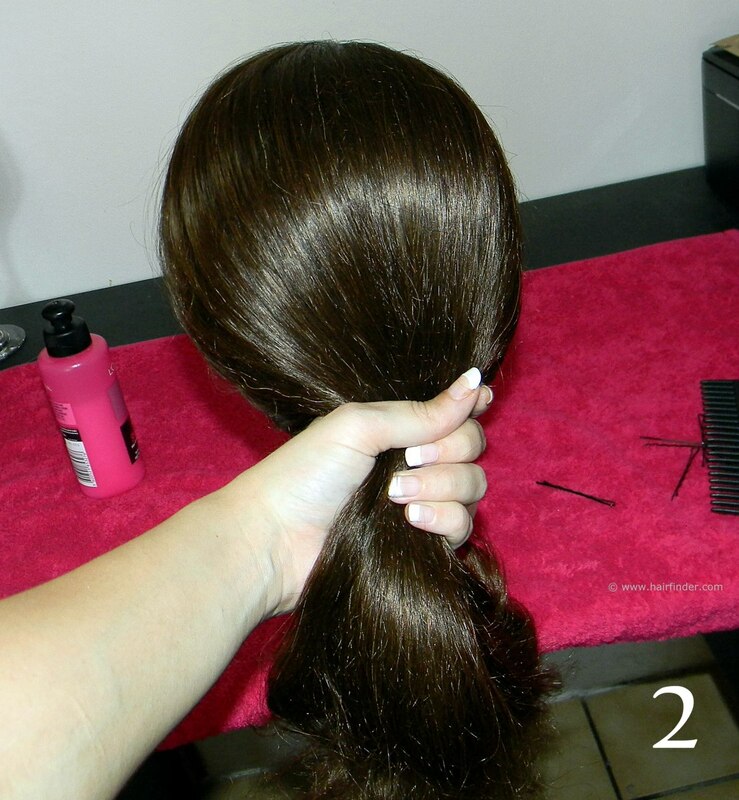 Do this as neatly as possible, but also accept that the hair will lose some of its perfect surface. That’s fine, we can correct this later with a tease-comb and hairspray. Just work as neat as you can. 4. 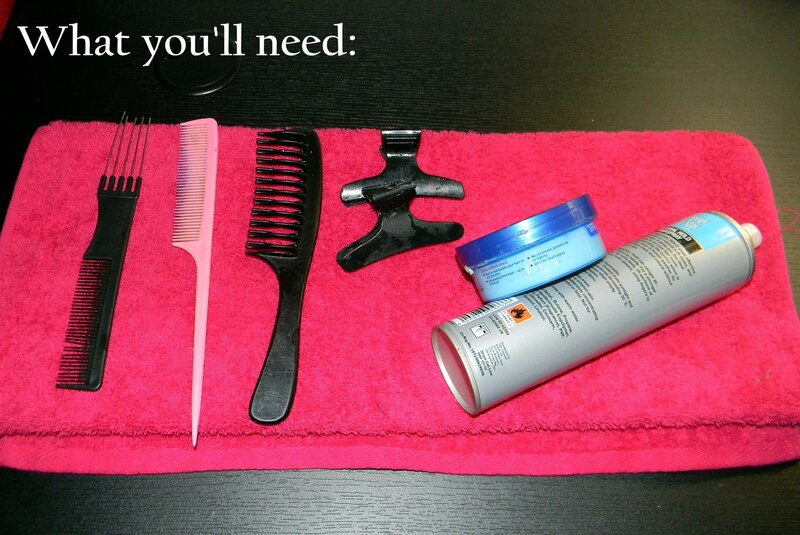 Secure the roll into place with some well disguised bobby pins. Use black or brown pins for dark hair and golden pins for blonde hair. 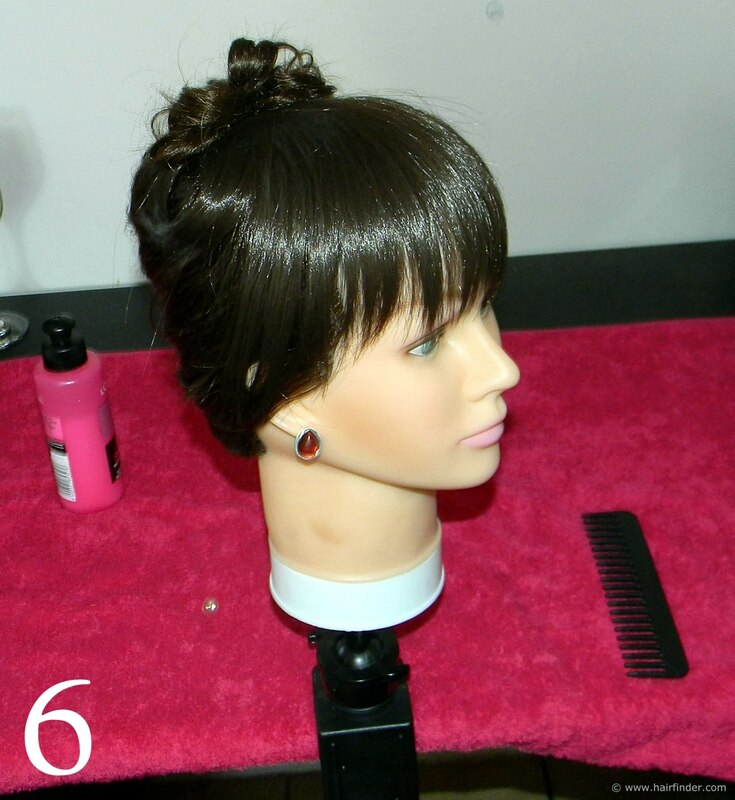 Place the pins into the fold of hair between the rounded surface of the roll and the scalp, to ensure maximum structural support and visual disguise. If you’re inexperienced in using bobby pins, you’ll have to practice inserting the pins into this fold, without excessively disturbing the surface of the style. Note that we leave the tips of the hair out at the top of the roll. 5. 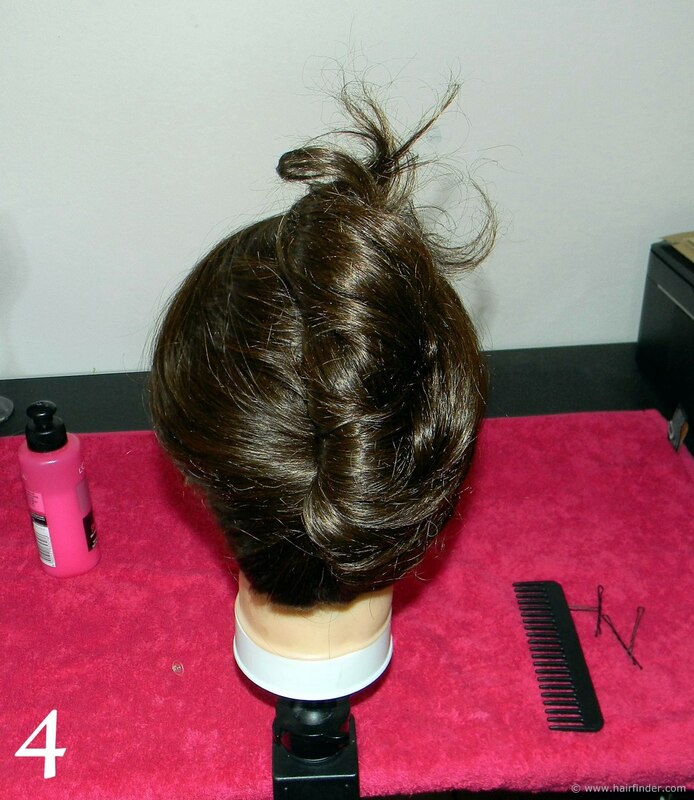 Twist and turn the tips of the ends sticking out, in order to make little curls in the crown area of the head. You’ll have to secure the curls with bobby pins, but as there isn’t much hair to work with here, it is impossible to disguise these pins properly. 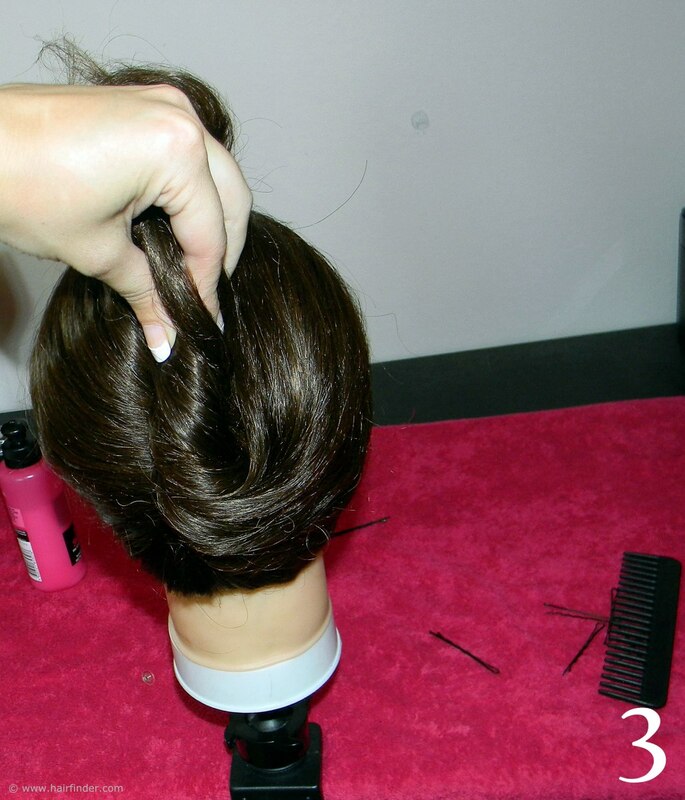 Don’t worry about it; you’ll be using the final curls to fold over the pins, effectively disguising it. 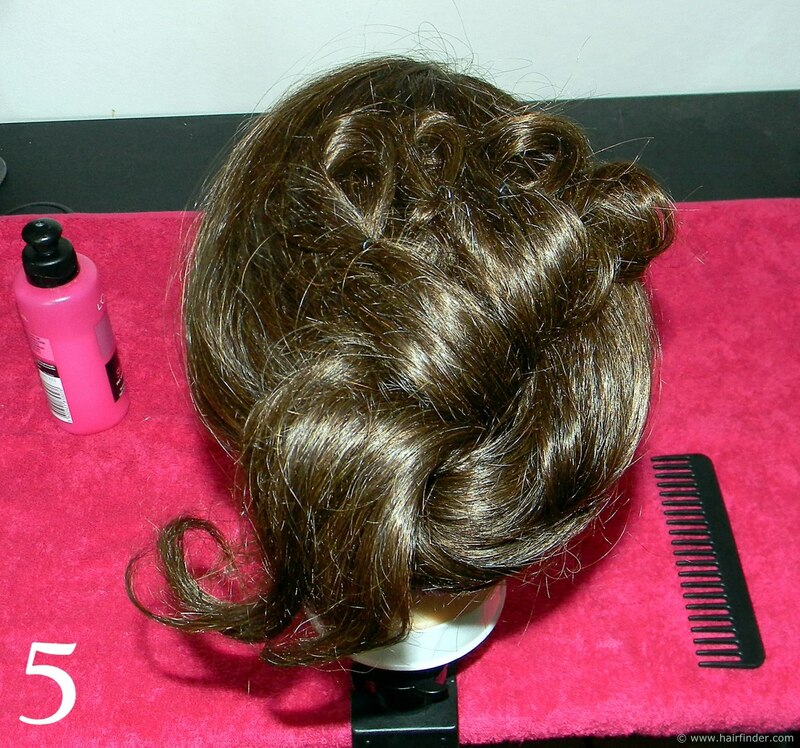 Use the last pieces of hair to create curls going over the initial curls’ bobby pins. 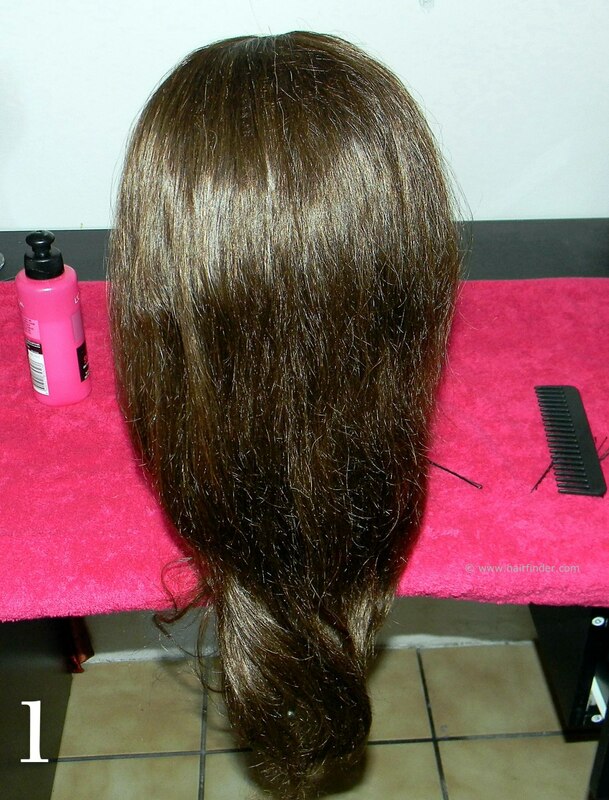 By now you should have enough hair creating ample nooks and crannies to use. 6. 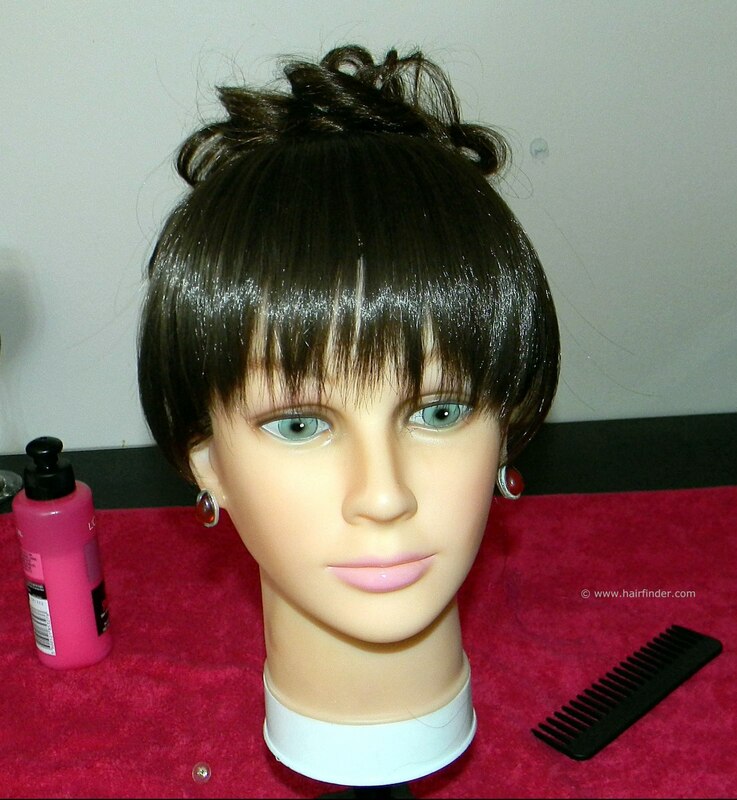 Note that the bangs hang forward, framing the model’s face. If necessary, use a flat-iron to neaten the fringe, so that it hangs perfectly and smoothly forward, over her forehead. Always remember to use a heat-protection product if you use any form of heat-styling technique on your model’s hair. In this case, it would be best to use a heat-protection spray on the fringe.